Our premium logo print cookies are real show stoppers. 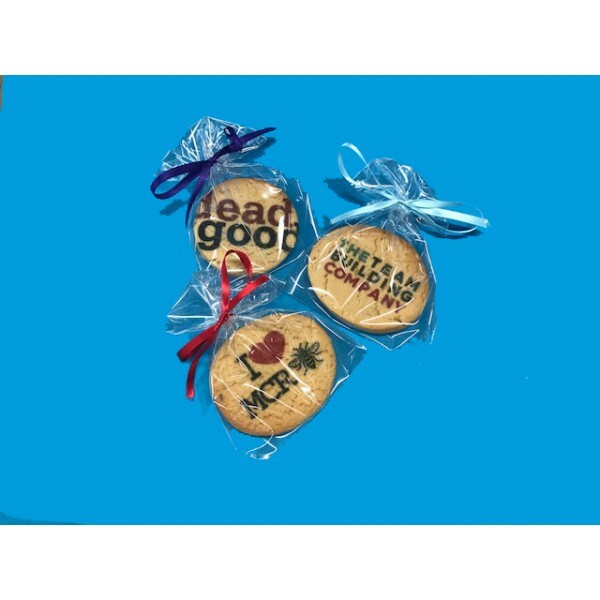 These cookies are perfect for sending to clients, for use in marketing campaigns, as thank yous and gifts, and for any occasion where you want to make a lasting impression. The premium print on each cookie catches the eye to make a bold and immediate statement about your business. Our premium logo cookies are tailored to larger budgets so may be ideal for smaller events. Choose from round, square, oval or rectangle and vanilla, chocolate, ginger or a mix of all flavours.